THOUSANDS of desperate Zimbabweans from Mutare and other cities across the country are flocking to Manicaland Chimoio in Mozambique to buy groceries, which are far cheaper than those found in local supermarkets. Prices of most goods in Zimbabwe went up drastically recently, sparking outrage from long-suffering consumers. A visit by The Standard People last Thursday showed that Zimbabweans had become the biggest shoppers for groceries in time for Christmas. Zimbabweans were swamping shops in Manica and Chimoio like Shoprite, VIP and Jumbo Cash & Carry where basic commodities and canned beer were being loaded onto vehicles. Fish and chicken have also become popular with the Zimbabwean shoppers. Shop owners in Manica and Chimoio were working overtime and on many occasions unable to cope with the demand created by Zimbabwean shoppers. 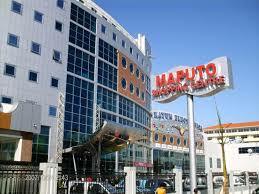 The shoppers were exchanging the Zimbabwe bond notes for Mozambican meticals. In interviews, the Zimbabwean shoppers said they had no option but to cross the border to do their shopping in Mozambique. “The pricing system in Zimbabwe is pure madness. We have no option but to come here to do our Christmas shopping. The prices are far much cheaper than those in Zimbabwe,” said Emmanuel Chinhema. “Things should not be like this at a time when we have a new government in place. “We never thought that with this new leadership, Zimbabweans would end up going to Mozambique to buy groceries like we are doing,” said another shopper, Lucia Mandiopera. The average price of a full chicken in Zimbabwean supermarkets is $15 while in Mozambique it is going for $7. Basic commodities fetch almost half the price of those in Zimbabwe. Unemployed youths have joined the great trek to Mozambique to become porters, lugging consignments of commodities belonging to traders for a fee. Confederation of Zimbabwe Retailers Association president Denford Mutashu attributed the rapid rise in commodity prices to the debilitating foreign currency crisis crippling the country.